Is a contractual change definitely required? Over the course of an employment relationship – particularly those that last many years – the terms of employment will almost certainly need to change. At the commencement of employment a statement of terms will have been created in accordance with section 1 of the Employment Rights Act 1996 which may take the form of a detailed service agreement with side agreements and benefit and bonus schemes or a simple, short employment contract that runs through the essentials required by section 1. Terms evolve; as do the needs of (i) the business, (ii) the role concerned, and (iii) the employee. Any change that benefits the employee is invariably well-received – a promotion, pay rise, bonus, or additional or improved benefit. Where a change could cause any detriment or perceived detriment to the employee or is otherwise questionable, then an employer will need to adopt one of the approaches outlined below if it is to proceed with the change. Such a change could be because of a reorganisation of a department, a change of location, a pay cut or other reassessment of how employees are remunerated – to name a few. Of course, the change could also be instigated by the employee; for example, following a successful flexible working request. The first question is whether the contract (an express or implied term) needs to be changed. 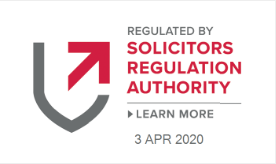 If an employer wants to update a non-contractual procedure, process or policy then (subject to any other obligations, for example in a collective agreement, applicable legislation or guidance from bodies such as ACAS) it will be free to do so without adopting a drawn out process. For example, updating a non-contractual equal opportunities policy would not normally require consultation with employees. The employer should be sure to communicate the new procedure, process or policy and make it easily accessible to employees in advance of when employees are due to follow it (especially if non-compliance is a disciplinary matter such as may be the case for a health and safety policy for example). However, it is possible that terms which are not expressly stated to be contractual (e.g. part of an employee handbook) can be found to be contractual. This was the case with enhanced redundancy terms set out in a handbook in Keeley v Fosroc International Ltd 2006 IRLR 961, CA which the employee was entitled to. Alternatively, an employer may wish to make a change that is permissible under the terms of the contract. It is common for contracts to be drafted to allow for changes either to specific terms (such as the right to vary benefit packages, responsibilities or location) or more broadly to any term of the agreement. A change made under the latter will be harder to justify as the employee will not have been forewarned about the possibility of the specific change. Ideally, these considerations should be factored in at the contract drafting stage. A change made in accordance with a contract will still be subject to a reasonableness test. The employer will need to guard against breaching the implied term of trust and confidence between employer and employee in effecting the change. In particular, any change that may have a knock-on effect on wages has a high likelihood of breaching trust and confidence. For example, reducing an employee’s hours or varying the days worked (when pay rates differ). A balance must be found in operating a clause to make a permitted change and not going so far as to breach the implied term of trust and confidence resulting in a constructive dismissal. 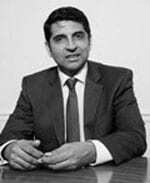 In United Bank Limited v Akhtar 1989 IRLR 507, EAT a bank employee was required to move from the Leeds branch to a Birmingham branch on short notice and without payment of discretionary relocation expenses. There the EAT found the operation of the mobility clause amounted to constructive dismissal. Any ambiguity as to the terms agreed will be construed against the party seeking to rely on it – here the employer who drafted the contract and/or who seeks to rely on a term – following the contra proferentem rule. Any change obviously must be in accordance with the law. Terms that amount to penalty clauses will not be enforceable (i.e. there must be a genuine pre-estimate of loss if any penalty is incurable). Employers cannot seek to contract out of the employment rights afforded by the Employment Rights Act 1996 (see section 203(1)). the Employment Rights Act 1996 (including the provisions regarding unfair dismissal, deductions from wages, Sunday working, flexible working). The change should be documented in writing. If an altered term is orally agreed there is a far greater chance that there will be a dispute as to what was agreed, from what date the change took effect and, more broadly, whether the employee was made sufficiently aware of the change and how it would affect them. An email exchange or electronic tick-box (where the employee has confirmed in a response) may be sufficient for this purpose but a physically signed written document is better evidence. Has the employer provided consideration to the employee? If a change in terms is accompanied by a pay-rise then this may be adequate to demonstrate consideration from both parties to the contract. For example, an employee is promoted and asked to sign up to more stringent restrictive covenants in exchange for a pay rise. Over the years, case law on whether continued employment can amount to adequate consideration has gone both ways. Certainly, if a changed term does not ‘bite’ until a later date (for example, upon termination) then it is far less likely that continued employment would amount to adequate consideration. Is the change one which a union, European Works Council and/or employee representatives need to be consulted on in advance? Similarly, does the term come under the remit of a live collective agreement? It may be that the employer does not want to seek agreement from the employees in advance. The change could be minor and/or arguably in the employees’ favour – in which case the employer may see it as a small risk to simply enforce the change and notify the employee/s of it. Or the employer might see consultation as opening up a ‘can of worms’ where the employees are likely to put other issues on the table and the negotiation could become protracted. Or an employer may have no choice but to push through the change – as examples: (a) if the company is in financial dire straits then a pay cut may be forced upon all employees, or (b) if a key client requires a specific change in terms with the employer in order to continue doing business and this has a consequential effect on employees’ employment terms. The employee could expressly accept the change. In this situation the employer will still need to demonstrate that they have provided adequate consideration to the employee. The change should be documented in writing. The employee could impliedly accept the change by continuing to work under the now revised terms. This could lead to a dispute down the line as to whether their continued employment definitely amounted to acceptance of the term. If the term does not impact them until later (such as a reduced long-service benefit) there is far greater ambiguity than if the impact is more immediate (such as a reduction in pay or commission, or varied hours) e.g. Jones v Associated Tunnelling Co Ltd 1981 IRLR 477, EAT. In FW Farnsworth Ltd and anor v Lacy and ors 2013 IRLR 198, ChD an employee was found to have accepted new terms of employment when he applied for a private medical insurance benefit that he was only entitled to under a new contract; this bound the employee to the other new terms including additional restrictive covenants. The employee could refuse to work on the new terms – for example, by continuing to turn up to work at their old hours/days or even their original location. The employer would then need to decide whether to commence a disciplinary process with the employee regarding their refusal to work under the new term/s. The employee could work under the new terms of employment but expressly state they are doing so “under protest”. They may then choose to bring a claim – for breach of contract and/or unauthorised deductions from wages – whilst still employed. This is often referred to as a “stand and sue” approach. The employer would need to defend such a claim (or settle it) and also decide whether to commence a disciplinary process with the employee. If the change is significant enough the employee could assert that they were (constructively) unfairly dismissed under their old contract and are now employed under a new contract – bringing an unfair dismissal claim in the process. There is a higher risk of this if the employee is demoted, has their pay significantly cut or is on wholly different terms. The employer would need to defend or settle such a claim and maintain relations with the employee in their new role. The employee could refuse the change and assert constructive dismissal with claims for unfair dismissal and wrongful dismissal potentially following. The employee’s chance of success will depend on the circumstances i.e. the severity of the change, the wider circumstances of the employer, whether the employer attempted to agree a change before it was unilaterally enforced, whether that consultation was active and genuine, how other employees responded to the situation, why the given employee refused the new term, whether the change would cause the employee undue stress (Walker v Northumberland County Council 1995 ICR 702, QBD), etc. The employer would need to defend or settle such a claim and also fill the role that becomes vacant. The Court of Appeal in Wetherill and others v Birmingham City Council  EWCA Civ 599 held that “[certain – car scheme] rights were capable of being varied by the Council, acting unilaterally. But the power to vary was subject to the restriction that it could not be exercised for an improper purpose, capriciously or arbitrarily, or in a way in which no reasonable employer, acting reasonably, would exercise it” (following Paragon Finance plc v Nash and another  EWCA Civ 1466). The final option open to an employer is to dismiss the employee under the terms of the old contract and offer employment on new terms. Clearly this method opens the employer up to claims for unfair dismissal. However, if the termination is in accordance with the old contract and all rightful entitlements are paid then a wrongful dismissal claim will be avoided. This obviously has the potential to be an industrial relations minefield. In such a situation an employer cannot hide what they are doing (e.g. by using opaque language and/or asking the employee to sign something without fully explaining the consequences) – the termination of the old contract and the imposition of the new contract/terms must be plain, clear and unequivocal. In defending an unfair dismissal claim the employer will commonly assert that the dismissal was for Some Other Substantial Reason (SOSR) and/or redundancy in the alternative (i.e. that the old role was redundant but a new role was available as suitable alternative employment). As always, the employer will need to demonstrate both a fair reason and that the dismissal was procedurally and substantively fair. If the employer is successful then the employee would not win their claim or receive compensation regardless of whether they accepted employment under the new contract. If the employer’s defence fails then the employee’s claim could be limited to a basic award only if they accepted employment on the new terms or are found to have unreasonably refused the new contract. As above, the employer’s chance of success can also depend on the broader circumstances (the severity of the change in terms, the reason for the change, whether employees were consulted as the first option, how other employees responded to the situation (e.g. did 90% accept/reject the change? ), and the reason for the claimant employee’s refusal of the new terms). If an employer is planning to dismiss and (in theory) re-hire 20 or more employees within a period of 90 days or less then collective consultation rights will apply (including the duty to consult with employee representatives and notify the Secretary of State (sections 188 and 193 of the Trade Union and Labour Relations (Consolidation) Act 1992 respectively)). Failure to collectively consult can result in awards of up to 90 days’ gross pay per affected employee. As outlined above, any change in terms should be documented in writing so that there is no uncertainty. Any change agreed to an employee’s terms further to a successful flexible working request will amount to a permanent change in their contract and this should be documented in writing and signed. Section 4(3) of the Employment Rights Act 1996 (ERA 1996) requires that any change which relates to section 1 ERA 1996 matters must be documented in writing within one month after that change. It is possible for contract terms to change over time because of custom and practice. This is very rare as the employee would have to demonstrate that the employer has adopted the custom and practice without variation for a significant period of time (usually many years). Case law has shown that an express term cannot be varied by custom and practice (Solectron Scotland Limited v Roper and ors 2004 IRLR 4, EAT). Even if an employer is seeking to correct an error in the original contract drafting, they will still need to follow one of the options set out above unless they can adduce evidence that all parties to a contract were fully aware of the error at the time of entering in to the contract and did not intend it to form part of the agreed terms. the transferee makes the change for an Economic, Technical or Organisational (ETO) reason which requires changes in the workforce and agrees that change with the employee or their representative. If the change is not for an ETO reason (or it does not fall within another exception below) then it is simply void. That is the case regardless of whether the employee(s) agree to the change. An upwards harmonisation of terms. The transferee exercising a contractual right to make a change under the terms of the employees’ contracts – given that the new employer/transferee is stepping in to the shoes of the old employer/transferor i.e. if the transferor could have reasonably made the change within the scope of the contract then the transferee can. If the change is to pension terms – which are treated separately under TUPE. 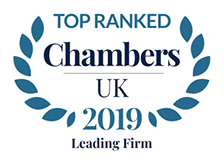 Where the business transferring is subject to relevant insolvency proceedings (then transferor, transferee and/or insolvency practitioner may negotiate changes to terms with elected employee representatives). Where the changes flow from a collective agreement and more than a year has passed since the TUPE transfer. If the change is demonstrably unrelated to the transfer. If a transferee pushes through a change which does not fall within one of the exceptions and the change is significant, the employee (with the requisite length of service) could bring a claim for automatically unfair dismissal. One of the remedies open to the Tribunal is to reinstate the employee on their old contract. Changes to recognised collective agreements between employer and a trade union can operate to amend individuals’ contracts of employment where either (i) the union is acting as the agent of the employee (following its very clear appointment) or (ii) there is an express or implied term in the employee’s contract which clearly incorporates the collective agreement (by reference to a specific collective agreement or to any agreement made between “X” union and the company). It is notable that membership of the relevant union is irrelevant. If a collective agreement is terminated then employment terms are unaffected unless the parties have agreed otherwise. Additional consultation requirements will apply where an employer wishes to make changes to an employee pension scheme. This includes obligations under the Pensions Act 2004. If the Information and Consultation of Employees Regulations 2004 (SI 2004/3426) apply and a relevant agreement is in place then again additional consultation obligations will need to be heeded. Employers should be mindful of the Equality Act 2010 when making changes to employment terms. A term which negatively impacts those with a given protected characteristic more than other employees may be indirectly discriminatory. In such a situation the employer would have to show the change was objectively justified i.e. it is a proportionate means of achieving a legitimate aim (Meade-Hill and NUCPS v British Council  IRLR 478, CA). For a number of years I have turned to Gareth Kervin for the company’s employment law advice. He is strategic, commercial and I value his judgment.